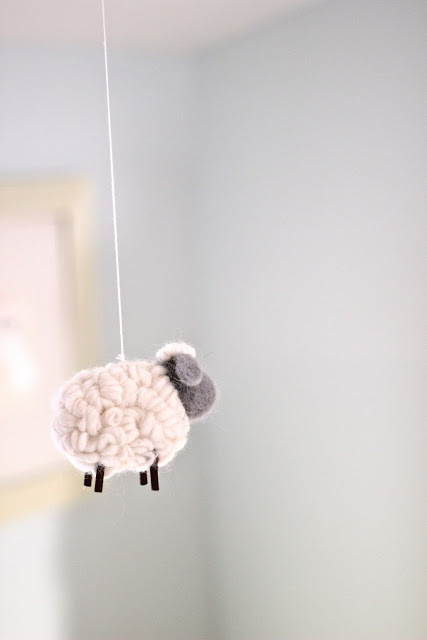 Aim for the moon; even if you miss you’ll land among the stars! 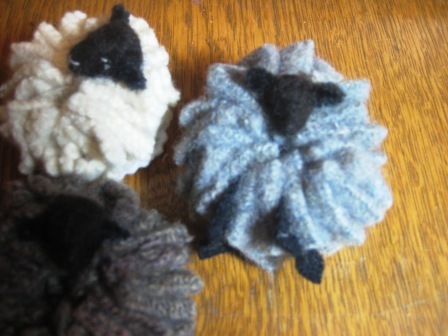 Hand felted sheep’s wool & mohair blend // needle felted Lincoln wool locks/staple. 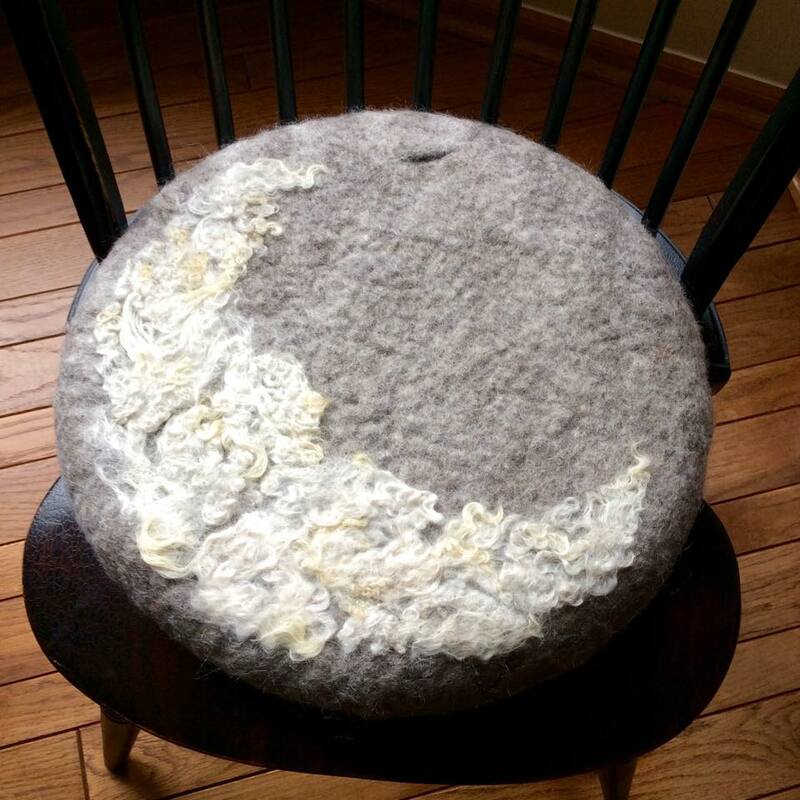 A fun project: seat cushion/chair pad. 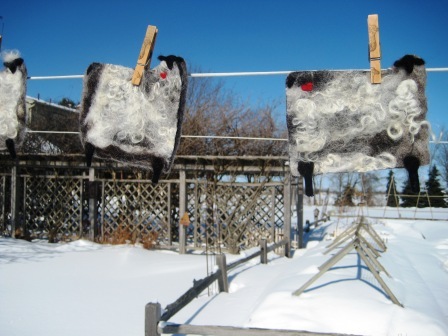 I can hardly believe it’s been F O U R years since I wrote this post… Recycled Wooly Wreath (see post for how-to mini wreath details). 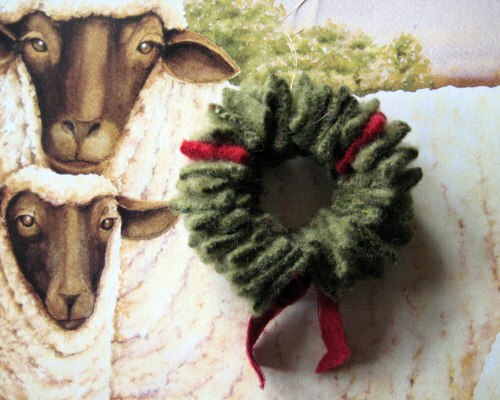 This mini wreath was a cute speedy-quick project made with little snips of recycled/felted wool (sweaters even better) strung on a piece of wire. 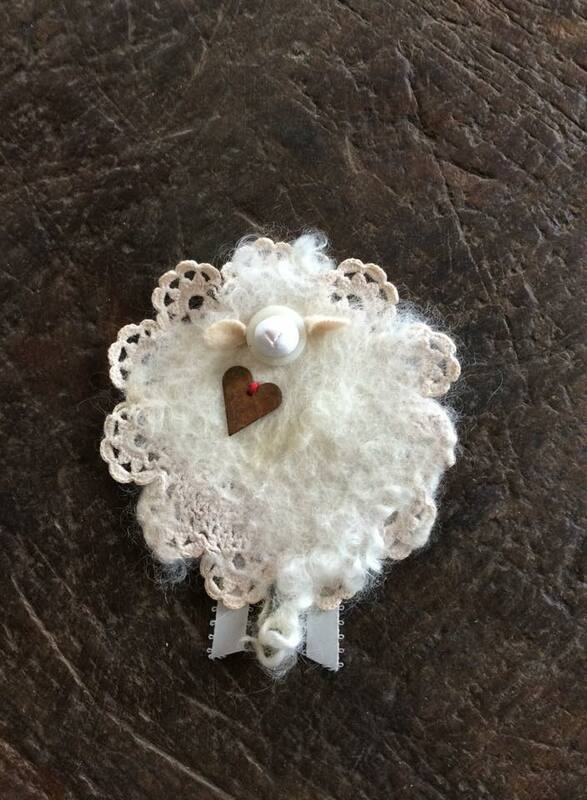 Simply cute for decorating cupboard knobs and/or adorning a gift? 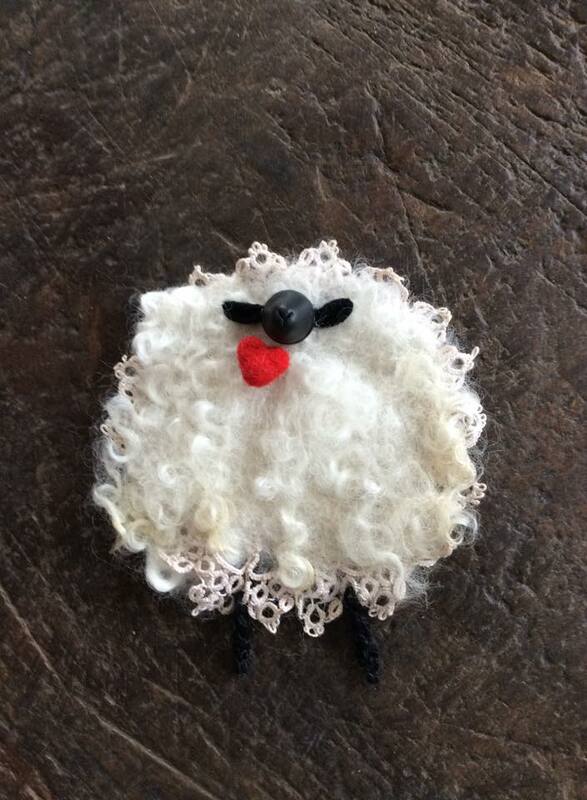 Most recently, I’ve been busy creating a few ‘new’ sheepy ornies! 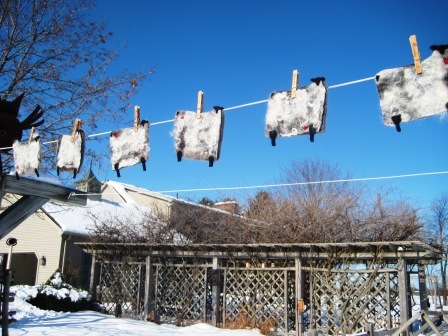 HAHAHA What a surprise, right? 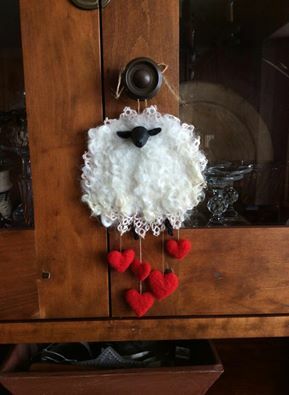 I slightly modified this little wreath project to create a cute little sheep ornament and/or a sheepy pin/brooch for another sheep and fiber enthusiast?!! 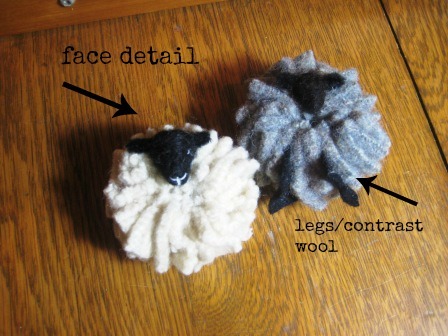 Pipe cleaners, wool roving, buttons, foam or ‘other’ to create a little sheep head/face… let your creative juices flow! 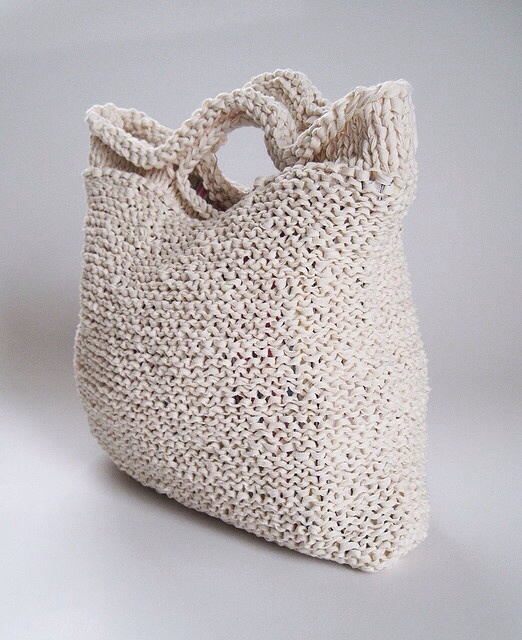 To begin, cut approximately 1-inch little squares (( any color will do )) from your recycled wool. 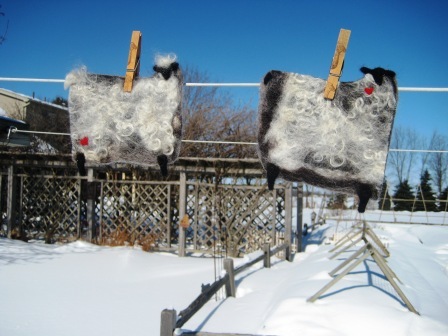 I used about twenty pieces or so… the more wool, the larger your ‘sheep’. 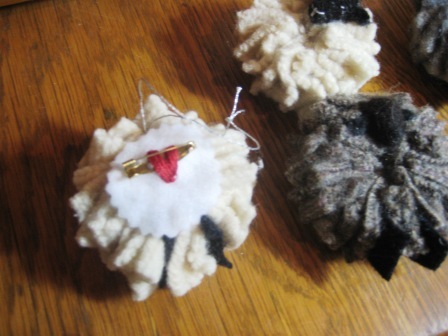 You may also add a contrasting colored wool for legs/feet if desired. 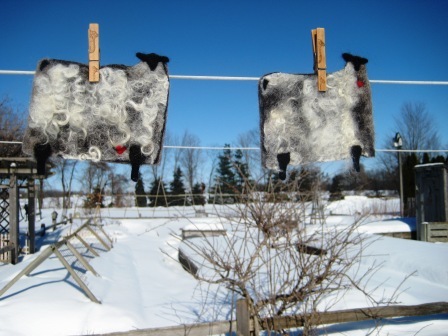 No two sheep need to be alike!! 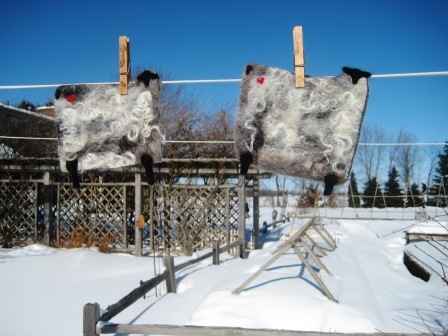 When you believe your sheep is about the right size, bind the wire tightly – DO NOT LEAVE A HOLE IN THE MIDDLE LIKE A WREATH – and give the wire a tug and twist. 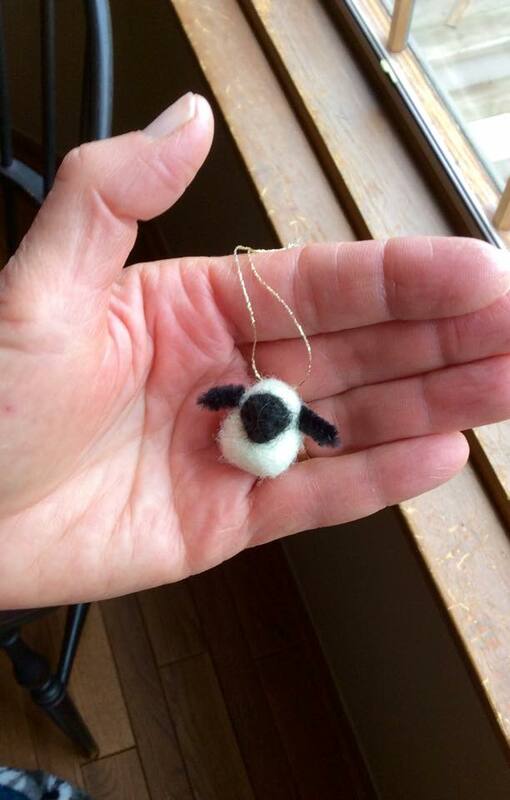 Ta da… you have created a little fuzzy sheep body!! 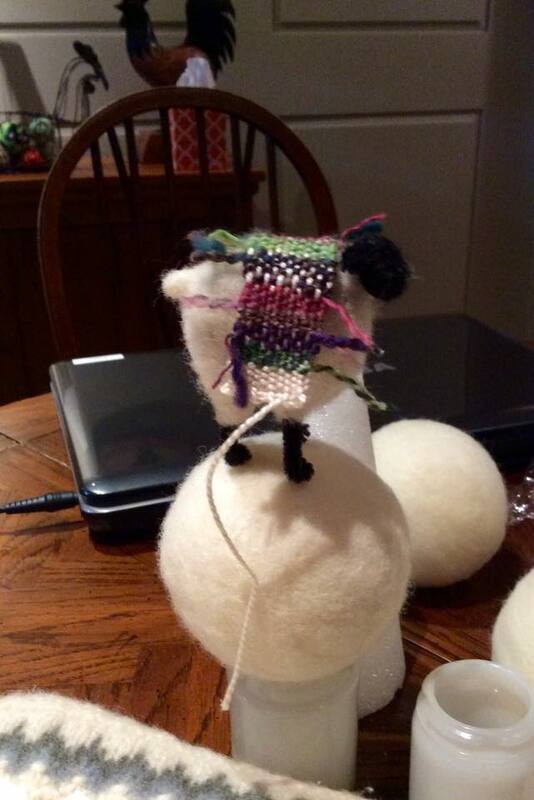 Now comes the FUN part where you give your little sheep personality!! 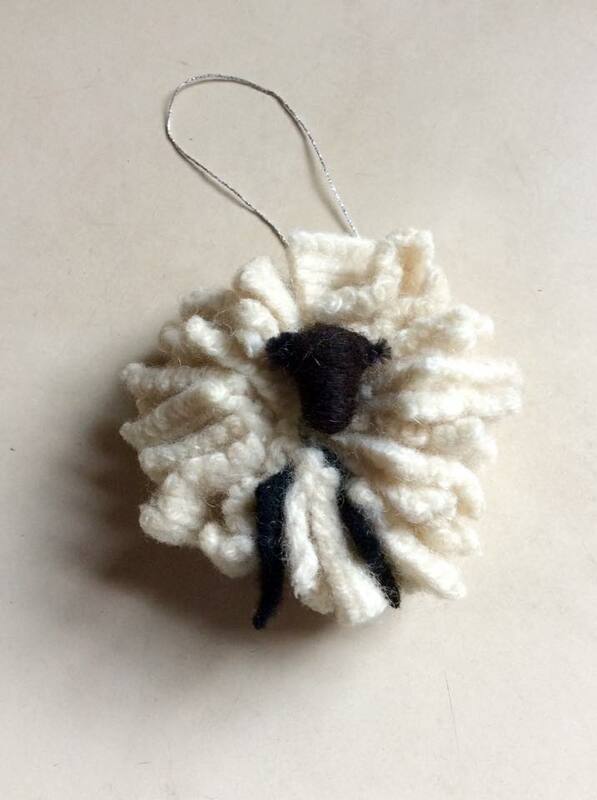 I used a simple black pipe cleaner to bend into the shape of a head ( like the shape of a capital ‘Y’ ). The top of the ‘Y’ become the ears and the bottom of the ‘Y’ is the face/head. 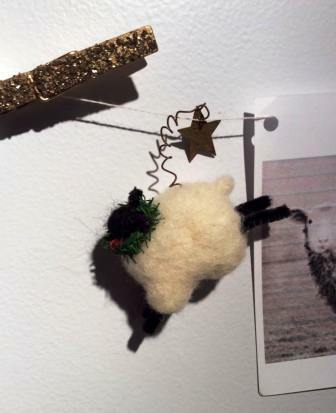 Next, wrap/cover the pipe cleaner with black/white wool roving… a few pokes with a felting needle keeps everything nice, dense and tucked into place. 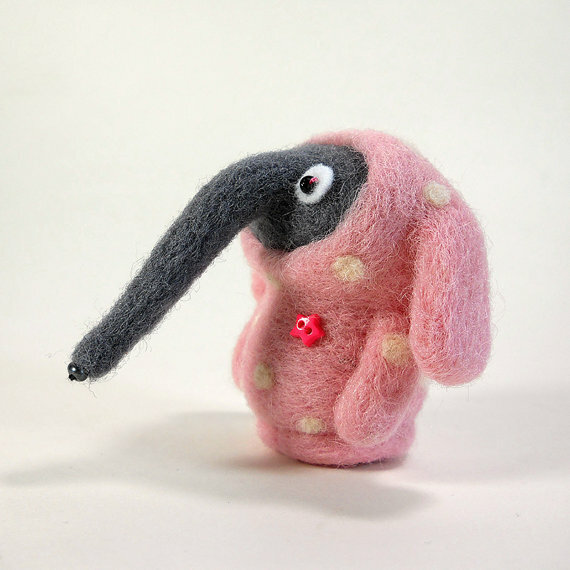 You may add more details… eyes, nose, or not. 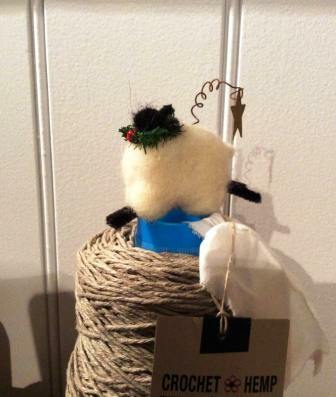 Use a dab of hot glue to attach the head to the body (of wool). 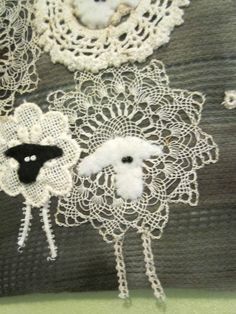 Add a pin back [for a brooch] or a string for a sweet sheepy ornie.